Offer On Bill Payments & Recharges - Get up to Rs.100 back as Amazon Pay. Promo code not required for this offer. This is best recharge offer on Amazon India. More detail on the landing page. Offer On Prepaid Recharge - Save 50% On Mobile Prepaid Recharge at Mobikwik. Coupon code to avail this offer. Offer On Electricity Bill Payments - Flat Rs.200 off on electricity bill payment of Rs.500 or more at Mobikwik. Use latest Mobikwik coupon code to avail this offer. Offer On DTH Recharge - Flat Rs.100 on DTH recharge of Rs.300 or more at Mobikwik. Use latest Mobikwik coupon code to avail this offer. Offer On Postpaid Bill Payment - Flat Rs.100 off on postpaid bill payment of Rs.250 or more at Mobikwik. Use latest Mobikwik coupon code to avail this offer. Flat Rs. 2 Cashback On DTH Recharge Of Rs. 200 & Above. Get flat Rs. 2 cashback on DTH recharge of Rs.200 and above at Chargetm. Apply promo code to avail this offers. Hurry!!! offers valid for limited period. Code is valid for 2 times per new customer. Get Rs.200 cashback on chargetm wallet. Recharge more than Rs.5000 in a month on chargetm and get cashback instantly. Valid for debit card users only. Get Flat 2% CashBack every time on JIO Recharge. This offer is valid only for Jio Recharge. Code is valid for 5 times per customer. Only Valid For Debit Card Users. Get the best offer on mobile, DTH, data card & more at Payese. No coupon code required. Offer valid for a limited period. Get flat Rs.1 cashback on prepaid mobile and data card recharge of Rs.80 at Chargetm. Apply promo code to avail this offers. Hurry!!! offers valid for limited period. Code is valid for 2 times per customer. Give us your email so we can send you Bill Payment Coupons once a day and our biweekly newsletter. Paying bills online is now easy and also saves money. You have your monthly bills for water, electricity, gas, broadband and many other services. You can now make the payment online through PayTM, Airtel, Mobikwik, Freecharge, Rechargeadda and many other online payment sites. Earlier you were standing in a queue to make the payment for electricity bill, water bill, BSES bill but now with technology and so many online payments sites, its just a few clicks away. Morever you will also find lot of bill payment offers & coupons from PayTM, Airtel, Freecharge and others. 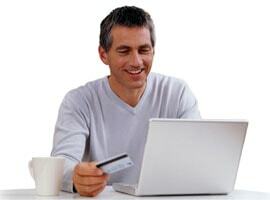 Save your time by paying bill online and also save money using the coupon code for bill payment.